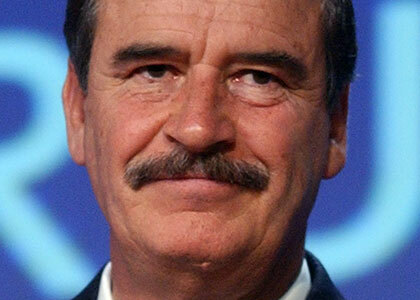 When elected to the presidency of Mexico in 2000, Vicente Fox broke the stranglehold that the ruling Institutional Revolutionary Party had held on the State for seven decades. A charismatic reformer, President Fox is credited as playing a vital role in Mexico’s democratisation, and with strengthening the country’s economy. During his tenure, he succeeded in controlling inflation and interest rates, and in achieving the lowest unemployment rate in all of Latin America. In his book, Revolution of Hope, President Fox outlines a new vision of hope for the future of the Americas. He speaks out forcefully on hot global topics like immigration, the war in Iraq, racism, globalization, the role of the United Nations, free trade, religion, gender equity, indigenous rights and the moral imperative to health global divide between rich and poor nations. From the man who brought true democracy to Mexico, Revolution of Hope is a personal story of triumph and a political vision for the future. The second of nine children, Vicente Fox spent much of his childhood on his father’s ranch in Guanajuato. After studying at the Ibero-American University in Mexico City and taking courses administered by the Harvard University Business School, he joined the working world and began driving a truck for the Coca-Cola Company in 1964. He was quickly promoted, and soon became the youngest executive to ever be appointed president of Coca-Cola for Mexico and Latin America. Under Fox, Coca-Cola surpassed Pepsi as Mexico’s top-selling soft drink.